Update: Thanks to all of you who commented and emailed me! The response was really pretty good, and I regret that there are too many of you for everyone to get a free copy of the app. I do appreciate the responses, though, and those selected will receive an email shortly. I’m closing comments on this blog post now. One of the reasons I rushed to get an iPad for my own company is that the iPad is the leading tablet computer device, and tablet computers, with their relatively large touch-driven screens, seem uniquely poised to offer a great learning experience for a new generation of learners. 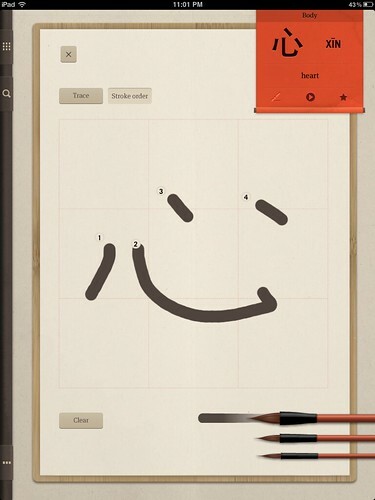 Now that the iPad has been out for a year, developers have had some time to dig into iOS and create some cool apps for learning to write Chinese characters. The only problem is that they haven’t yet. It’s not that they haven’t done anything, it’s just that no major player with a lot of resources has put a lot of effort into creating a superior app just for teaching writing. Significant effort has gone into Pleco‘s iOS handwriting recognition and OCR function, but neither of these teaches writing. 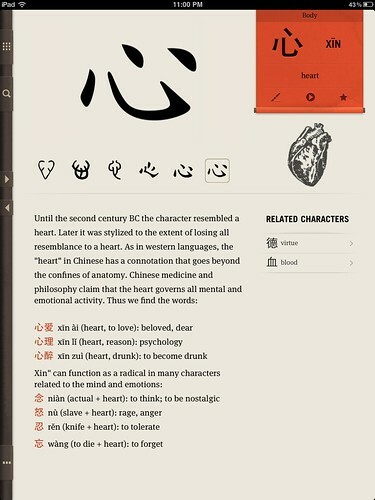 Before I go into my reviews of the handful of Chinese writing apps I found, I should first pose a question: what should an app that teaches Chinese characters do? This is a question that at times seems neglected by app creators. It’s easier to focus on what can be done with an app, rather than what needs to be done for real learning. 1. 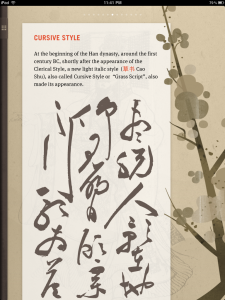 Introduce the basic strokes, emphasizing the direction in which each is written and the shape of each. 2. 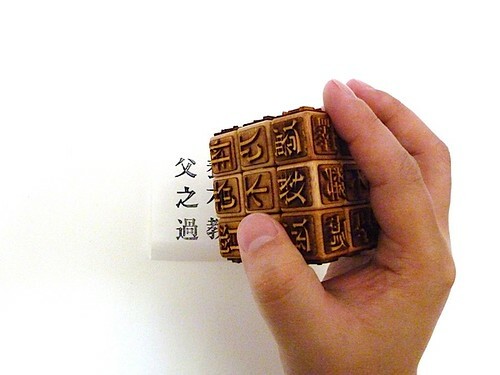 Introduce the building blocks of Chinese characters, calling attention to how they function is a part of a whole. 3. 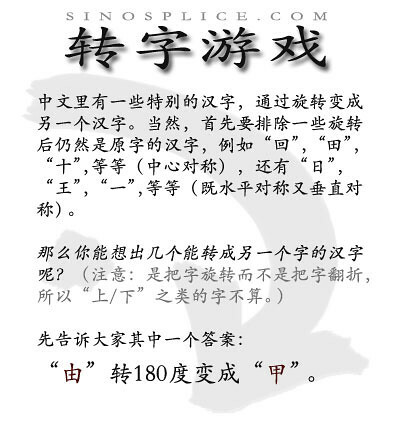 Introduce the various structural types exhibited by Chinese characters, and the order in which characters’ various component parts should be written. 4. Introduce new characters in a progressive way, building on what has come before, while still trying to stick to useful characters as much as possible. 5. Provide practice writing the characters and give feedback. Feedback Yes, a green star tells you where to start writing when you go off track. You’re not allowed to write incorrect strokes. Word Tracer is a very polished app. It’s attractive and was clearly crafted with care. The issue of stroke direction takes center stage in this app, as a star in a green circle tells you where to start, and a series of numbers in little circles show you which way to make the strokes. 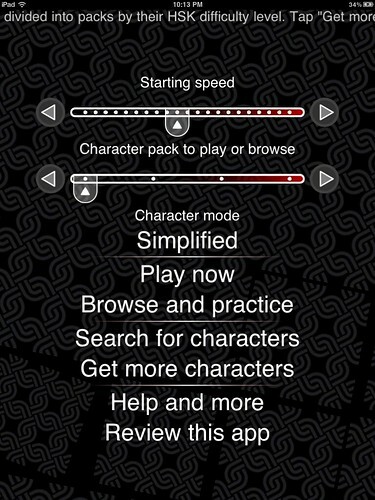 While the app is not a course in characters (which would need to go through numbers 1-4 I outlined above), it does offer a nice collection of characters to choose from, ranging from a frequency list to common phrases. I missed this feature at first, and it definitely adds a lot. Overall, the app shows a lot of attention to detail. It wasn’t created to be a writing course, so it’s mainly a polished “writing practice app,” and its name very clearly states what this app is all about: tracing. It can’t help you with recalling characters without any prompt and writing them out. If you’ve already learned how to write characters and are looking for a mechanical way to practice writing on your iPad, this app is not a bad choice. Feedback Yes, a big red “X” tells you when you make a mistake but gives you no immediate clue where you went wrong. You’re not allowed to write incorrect strokes. I really like that this app tries to be a game. It’s not the most fun game in the world, but I’ve seen more than one learner really get into it. The timed aspect also adds another dimension which makes the “trace the strokes” mechanic a bit less monotonous (at least for a while). I also like the options in the beginning (although that screen with its crazy animated background is a little busy). The way the game works is that characters slowly drop for the top of the screen. You tap them once to zoom in, then quickly trace over them to “destroy” them. That’s it. 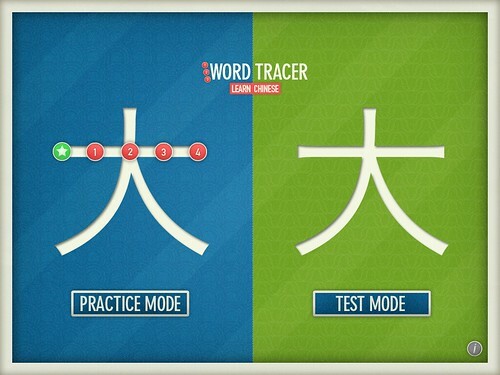 If you can write a character especially fast, you are praised with a “很快” (“very fast”). If you’re too slow or keep getting the strokes wrong, the character eventually drops off the bottom of the screen, and that’s one strike against you. One of the best things about the app is that at the end, after you’ve gotten your 5 wrong characters and the game is over, the game shows you which characters you got right and which you got wrong, and then you can review the correct stroke order for the ones you got wrong. The app is never especially clear about the direction of strokes, however. In the end, it’s tracing only, and the characters are chosen at random. The app is solid, though, and it’s free. Not bad for basic mechanical writing practice. Feedback Yes, the correct stroke flashes on the screen when you make a mistake. You’re not allowed to write incorrect strokes. 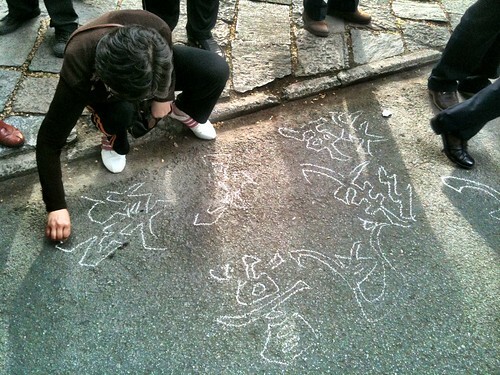 Chinese Writer sets itself apart in that it is not a tracing app. 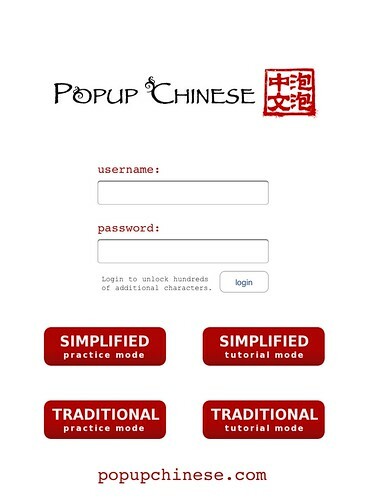 It’s slightly confusing at first, because (1) the app button is labeled “ChinesePad,” and (2) it seems like you have to sign up for a Popup Chinese account to use the app, since neither the simplified or traditional “practice mode” seem to do anything. Apparently only the “tutorial mode” is available if you don’t have a subscription (that button works). As you write each stroke, the app shows your stroke in red, but it doesn’t actually save it on the screen; it either accepts it as “correct” and replaces it with a print-style version of the stroke, or it rejects it and erases it, flashing the correct stroke in the correct place to prompt you. In theory, the app is fine, sort of a simpler version of the Skritter system. 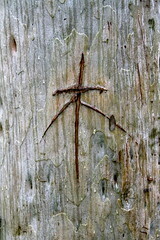 It can be confusing, though, rejecting seemingly perfect strokes, and rejecting quite imperfect ones. Chinagram is not free and contains a very limited number of characters, but in many ways, it’s my favorite of these apps. While it doesn’t teach strokes or radicals, it does show the evolution of the characters through various scripts over time, and offers graphics to help clarify the pictographic characters. 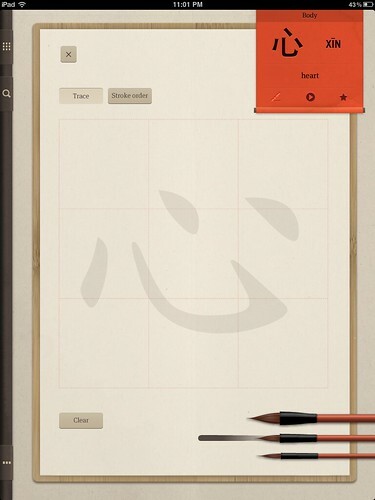 I also like how the app offers very free-form writing practice. There’s no computer program to tell you you’re right or wrong. There’s simply a faint guide which can be switched on or off, and some little guide numbers to help with stroke order, which are not tied to the tracing guide, and can also be independently turned on or off. This simple combination of options makes for a quite satisfying range of writing practice possibilities. With Chinagram, it does kind of feel like you’re paying for design and pretty graphics, but let’s face it: characters are graphic. 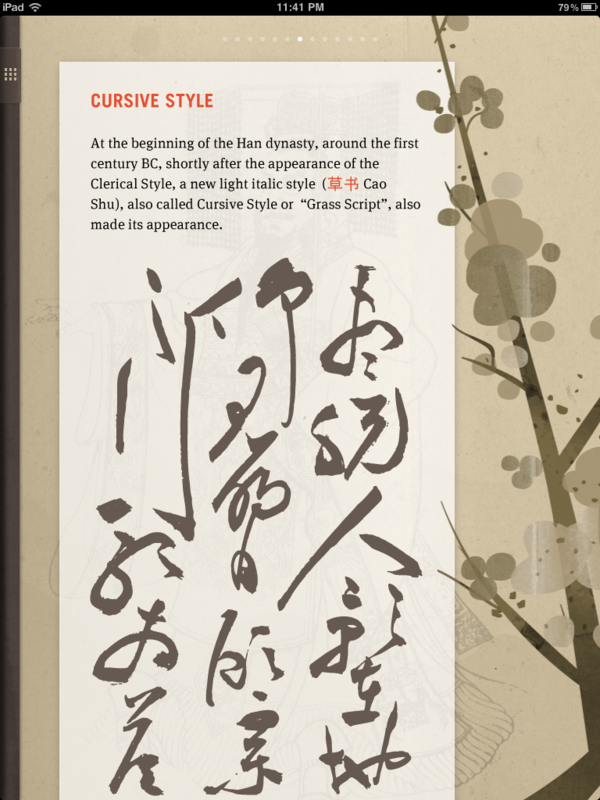 Chinagram offers an attractive and appealing, although somewhat limited, introduction to the writing of Chinese characters. I’d still want more instruction on how to write characters than this app offers, but it definitely goes farther than the three above. Once you’ve got that working, go into the “Notes” app (or anything that lets you write text, really), and just try to write something. You’ll learn a lot just by the act of writing the characters stroke by stroke, and identifying the one you want from the resulting list of characters. If you get a character totally wrong, chances are, it won’t be in the list. Try again. This really is not a bad option for practicing writing, especially if you have someone you can write to. 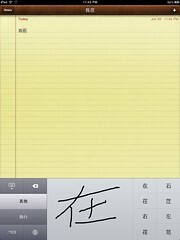 My conclusion: these apps are worth checking out, but better writing apps for Chinese are still needed! 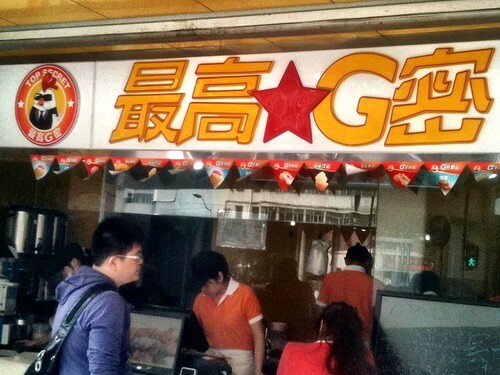 最高G密 / 最高机密 (“top secret”); G = 鸡 = chicken. 鸡米 is a name for little chicken nuggets (often fried). Not a pun; just illustrating that 新世界 is a common phrase too. 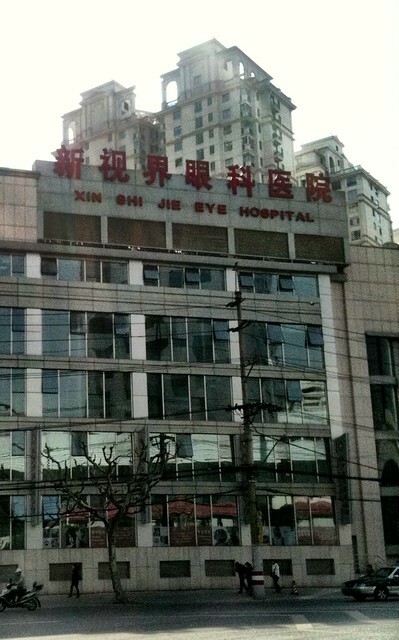 This hotel is just around the corner from the eye hospital above. 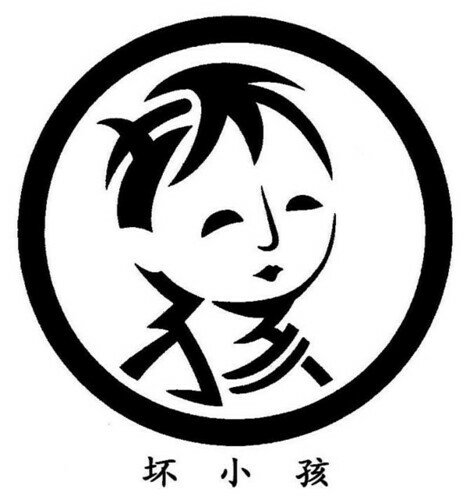 碧云公寓 (traditional characters are used in the photo): not a pun either; this just amused me because we foreigners have a habit of mixing up our tones. 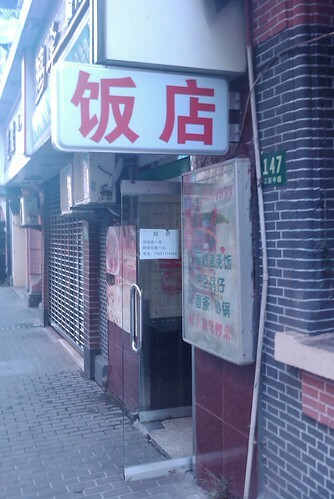 This apartment complex could easily become “Contraception Apartment” (避孕公寓) pronounced by a careless foreigner. 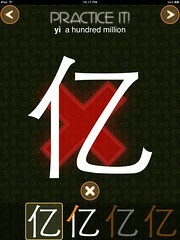 I recently had the opportunity to try out Chinagram, a new iPad app which introduces Chinese characters. 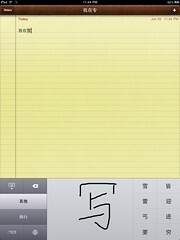 There aren’t many Chinese-learning apps out there specifically for the iPad, so I decided to review this one. My first impression of the app is that it is beautifully made. I guess that’s Italian design for you. The overall aesthetic is nice, and there are lots of little touches that make the app fun to use. 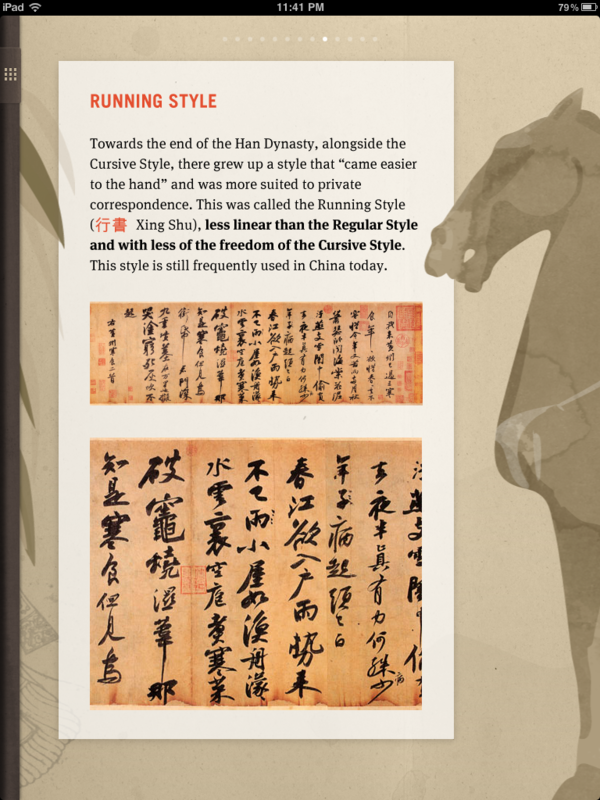 Don’t miss the “History of Chinese Writing” section. While the information it contains is not something you can’t find on Wikipedia and many other sites, it’s definitely presented here in a way that’s enjoyable to browse. I especially liked the foreground/background faux-3D effect you get when you swipe to a new page. After my playing with the app a little bit, the key question in my mind was, who is this app for? Is it for an advanced student? An intermediate student? A beginner? Or maybe just a casual student of Chinese? 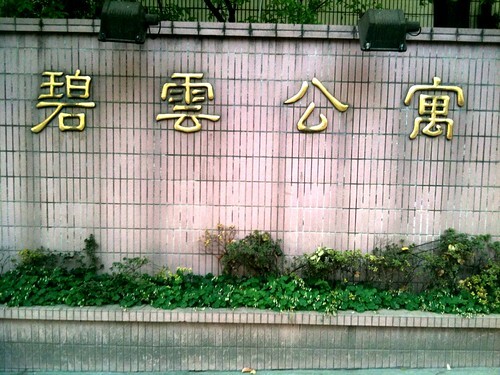 My conclusion, unsurprisingly, is that it’s for the casual student of Chinese. Sure, a beginner can get some use out of it, but since the app only covers 120+ characters, the serious student won’t be using this one for long. The strength of the app, perhaps, is its treatment of the evolution of the characters it contains. The graphics it contains go further than Wenlin, but certainly not ChineseEtymology.org (which is free). 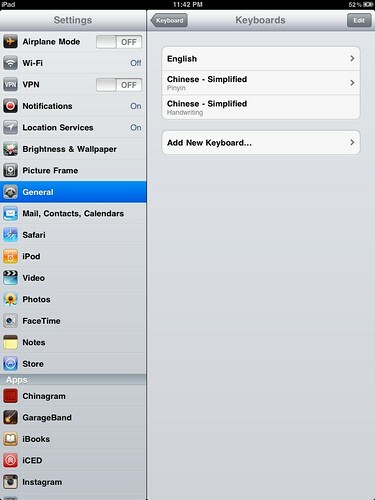 And Wenlin costs a lot more, while ChineseEtymology.org actually has an iPhone app now. 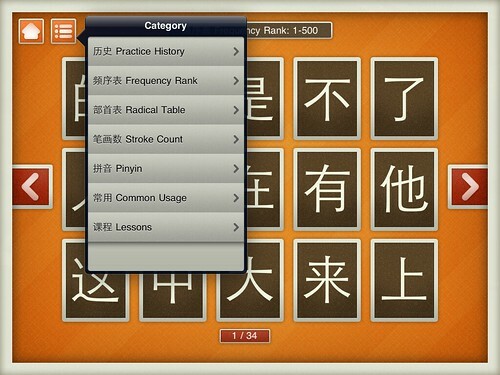 There aren’t yet many Chinese learning apps created for the iPad. Chinagram has got to be the most attractive one currently in the app store, and while it’s still $1.99 it’s a good deal for the beginner or casual learner. Via Sinosplice reader Érica. Photo taken in Hong Kong. 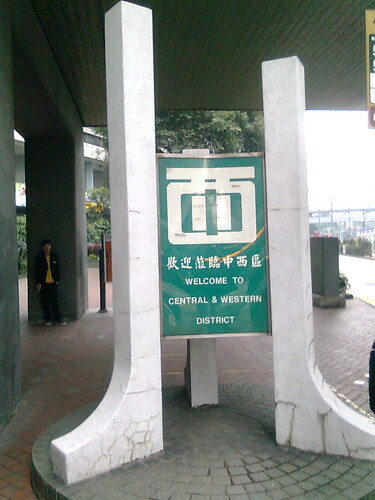 UPDATE: The original post mistakenly had 东 (east) instead of 中 in the 西. My bad! 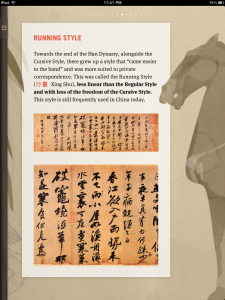 Below are the characters involved, suped up with Sinosplice Tooltips for the readings of both the Chinese and Japanese (more notes at the bottom). I get the impression the English translations were not written by a native speaker, so I’ve added a few notes in brackets to clarify where appropriate. 1. 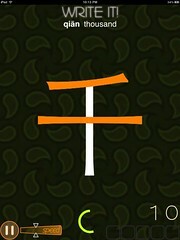 Many of the Japanese characters above are not normally written in characters (kanji). In modern Japan, many words like 林檎 (apple), 苺 (strawberry), and 蛯 (shrimp) are often just written as “りんご,” “いちご,” and “えび,” respectively, in hiragana (no characters). 3. 苺 means “strawberry” in Japanese, but it’s the morpheme “-berry” in Chinese, used in such words as 草莓 (strawberry), 蓝莓 (blueberry), and 黑莓 (blackberry). 4. I’m not a big fish-eater, so I’m not confident in the fish translations. Any corrections are welcome. There’s a lot more I could say here, but unfortunately, my blogging time is limited. Comments welcome! 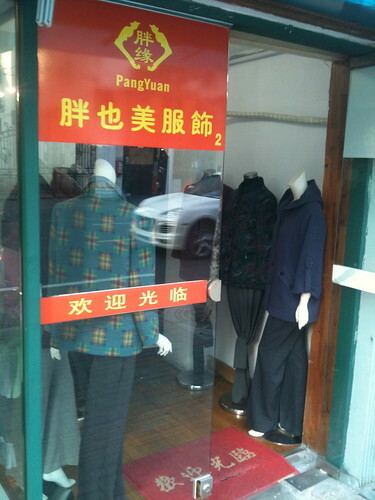 The name of the store reads 胖也美服饰, literally, “fat also beautiful apparel.” This is the equivalent of a plus sizes store in the US (although, looking at the official 胖也美 website, the Chinese 胖 isn’t quite as big as the American “plus”). This is one of those cases where culture makes a huge difference in translation. 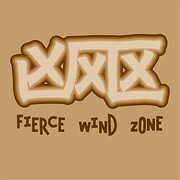 My friend Jason recently brought to my attention this cool logo for a band called 凶风区 (“Fierce Wind Zone”). This brought to mind a Chinese character game I proposed on my Chinese blog years ago in a post called 转字游戏 (literally, “Turn Characters Game”). I’m not sure why I never posted this stuff in English, but I figure better late than never! Basically, the aim of the game is to take any character and rotate it (most likely 180 or 90 degrees) to get a different character. So focusing on symmetrical characters like 田 is missing the point. 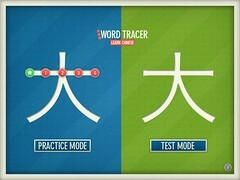 The easy example I gave is the pair 由/甲. The only thing is, if you actually use ink with this thing to print characters, and then you twist it around, you’re going to end up with ink all over your hands all the time. Minor design issue, though. 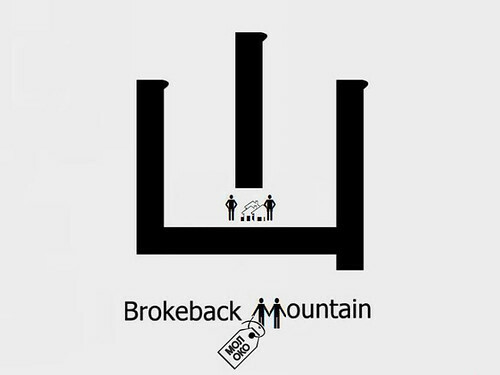 Cool concept! 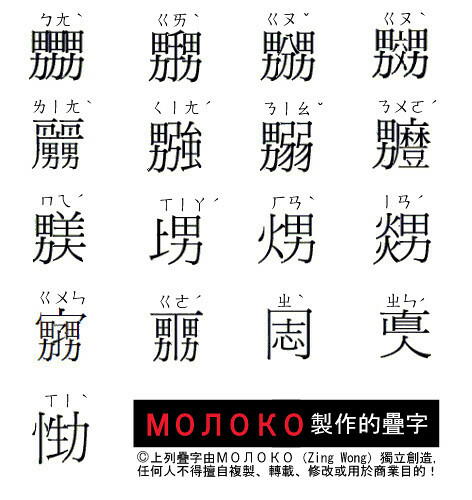 The three-character combinations are designed to match lines from the 三字经 (Three Character Classic). Nice! Thanks to Gaijintendo for pointing me to this. Photos from Makezine. 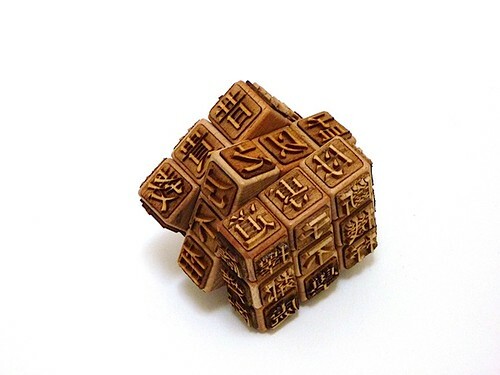 Update: Reader Pierre has pointed me to the blog entry by the creator of the Movable Type Cube. I can’t agree with anyone who says that learning Chinese isn’t hard, because it’s got to be one of the hardest things I’ve ever done. Sure, it’s been extremely rewarding, but I personally found it quite hard. Hopefully you’re not someone who chooses to learn a language based solely on how difficult it is perceived to be. But as someone who has chosen to learn a language for the wrong reasons before, and who also once shied away from Chinese, daunted by those terrifying tones, I can tell you that it is definitely difficult enough to scare off the casual dabbler. But what exactly is difficult about learning Chinese? So when we talk about difficult, we shouldn’t confuse this with time-consuming. 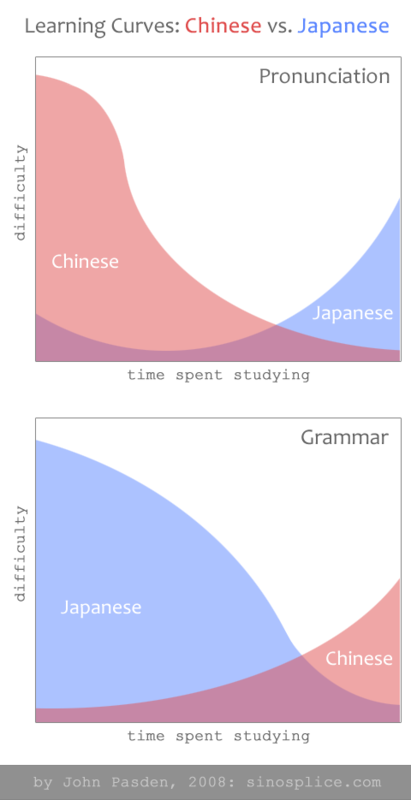 John Biesnecker recently wrote a great post explaining why the time-consuming nature of studying Chinese does not make it difficult, followed by extensive, patient clarifications in the comments. …learning Chinese is a long, drawn out series of really easy things — learn a character, learn a word, listen to a song, talk to someone, watch a movie, write an email, 等等. 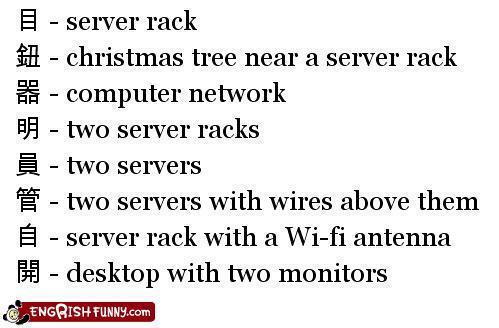 Not a single one of them is hard. Not one. While I agree with most of John’s premise, I can’t agree that nothing about learning Chinese is hard. 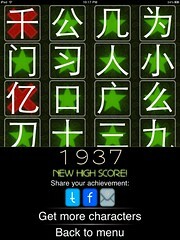 I found learning Chinese very difficult in the beginning. Although difficulty is subjective, I think there’s an important part of the equation missing here. First, two examples from my own life. When I was in high school I played a video game called Final Fantasy II. It was an RPG for the Super NES which can be beaten with the characters in your party at around level 40. Nerdy kid that I was, I loved that game so much that I continued playing it long after I had beaten it, until all my characters were up to level 99. You might call that feat silly or sad, but it was essentially a very long (but somehow enjoyable??) slog to reach increasingly higher level-up points. It was a ridiculous time investment. But one thing it certainly wasn’t is difficult. Another example from my awkward teen years. My cousin Kevin introduced me to juggling. He insisted that anyone could learn it in one day, if they just stuck to it. After trying a few times, this seemed hard to believe. Juggling just three balls for even 10 tosses was deceptively difficult. But for some reason I dug in and kept at it. After 30 minutes I could do those 10 tosses. After an hour, I was starting to look like I could juggle three balls. Learner: Wow, you can juggle? Me: Yeah. It’s not very hard. You can learn in 30 minutes if you try. Learner: Really? Let me try. Learner: This is harder than it looks! Me: Yeah, but if you keep at it for 30 minutes, you’ll be able to juggle. Learner: This is too hard! See ya. So why is juggling hard, even though 30 minutes is enough to get the basics down? It’s because it requires the mastery of a new skill, which, our brain reasons, “shouldn’t be too hard.” The logic of the task is quite simple. Throw ball. Catch ball. Repeat. The brain grasps the concept immediately. But the hands do not comply. The skill is too foreign. In essence, it’s “hard” because it’s frustrating. Actual performance does not live up to one’s reasonable expectations for one’s performance, and this is a blow to one’s ego. It’s emotional, not rational. What’s worse, if this simple task cannot be accomplished as easily as estimated, how can you be sure you’re ever going to get the hang of it? When I say that learning Chinese is hard, I don’t mean everything about it is difficult. For me, the hard part about learning Chinese, without a doubt, has been mastering the tones. The worst part was arriving in China after a year and a half of formal Mandarin study to make the horrifying discovery that no one in China understood my Chinese. I’m not one to give up easily, however, and I eventually made it. In my experience, tones are the single most frustrating thing about learning Mandarin Chinese. Why? Well, to begin with you can’t even distinguish the tones. It seems impossible. Then, once you start to be able to distinguish them, you can’t reproduce them on your own. It seems impossible. Then, once you can produce individual tones in isolation on your own, it all falls apart when you try to string tones together. It seems impossible. Then, once you can start to string tones together with some semblance of accuracy, adding in sentence intonation screws everything up. It seems impossible. What’s wrong with these people? I said everything perfectly. I know all my tones were right. But they always act like they can’t understand me! This is pure frustration. It happens to every learner. Einstein once said that the definition of insanity is “doing the same thing over and over again and expecting different results.” Sometimes acquiring Mandarin’s tones seems perilously close to this definition! Because the hardest part is right at the beginning, I think advanced learners can sometimes forget how difficult and frustrating it was. But it’s a key issue I face on an almost daily basis in my work at AllSet Learning. For beginners, the learning curve can be a bit brutal. You’re not afraid of a challenge, are you? Mastering tones may be difficult, and memorizing all those characters may be time-consuming, but learning Chinese is definitely worth it. Difficulty is a subjective thing, so there may be those with an uncanny knack for acquiring tones (or perhaps indefatigable, saintly patience) who honestly don’t find it difficult (or frustrating). I’m willing to bet that some learners simply have a penchant for blocking out distant painful memories, and there may even be a few out there with devious plans to trick you into falling in love with Chinese. It is, after all, one of the world’s most fascinating languages. There have been a number of excellent articles already written on this topic. I’ve linked to some of them below. Please note that David Moser’s article is tongue-in-cheek. Brendan’s conclusion is spot on, and I think Ben Ross’s views are also very close to my own. 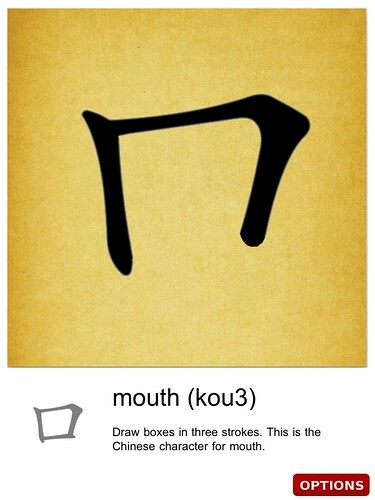 > The character 咸, from 戌 (xū) ‘destroy’ and 口 (kǒu) ‘mouth’, originally meant ‘bite’. >> “戌 to hurt 口 with the mouth” –Karlgren. > Then 咸 was borrowed for a word meaning ‘all, entirely’ (now rare), which happened to be pronounced the same. 咸 xián is also the name of the hexagram ䷞, variously translated as ‘Influence’ (Legge), ‘Wooing’ (Wilhelm), and ‘Cutting’ (Kerson Huang). > The full form for xián ‘salty’ is 鹹, composed of 鹵 (lǔ) ‘salt’ and 咸 xián phonetic. 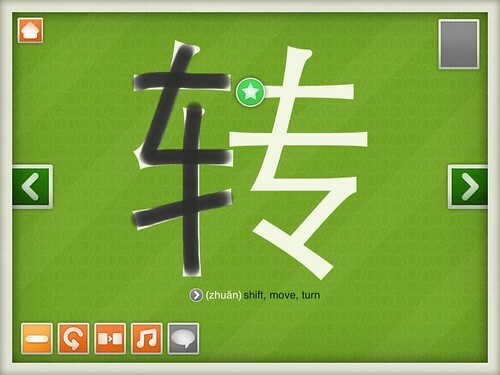 鹹 is simplified to 咸 by dropping 鹵, so now 咸 most commonly occurs as the simple form for xián ‘salty’. > Hexagram 31 is named 咸 (xián), “Conjoining”. Other variations include “influence (wooing)” and “feelings”. Its inner trigram is ☶ (艮 gèn) bound = (山) mountain, and its outer trigram is ☱ (兌 duì) open = (澤) swamp. So not only does 咸 represent one of the hexagrams from the I Ching, but its meaning is actually pretty relevant to Fox Intercultural Consulting’s business. Not too shabby! With this post I’ve started using the tag “characterplay,” and also tagged previous relevant entries. Characterplay is a lot like wordplay, except that characterplay is entirely visual, whereas wordplay often relies on homophones which, when spelled out, are often quite distinct. 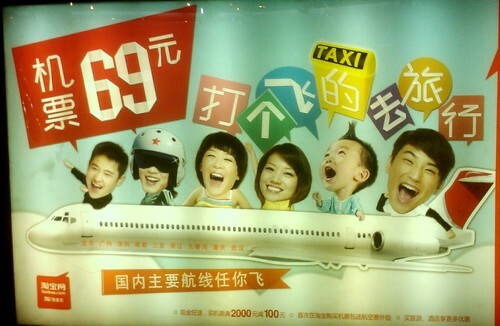 Take a look at this Shanghai subway advertisement for plane tickets on Taobao. 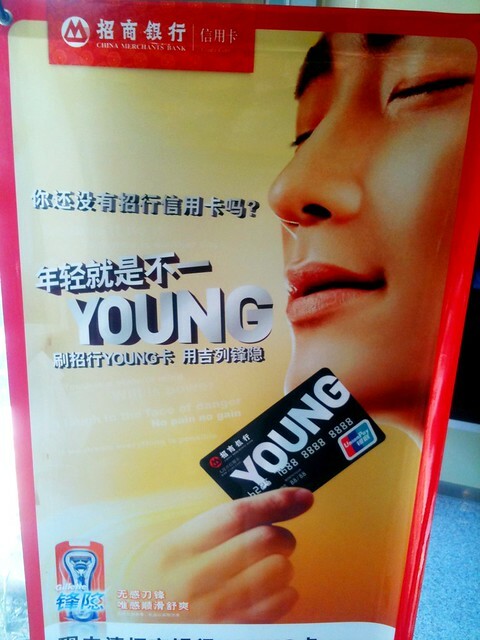 Pay attention to the main Chinese words in the ad. If you’re anything like me (and a few of the Chinese people I asked), you tried to read the Chinese before paying attention the English “taxi,” but started feeling something was strange around the “飞的” part. What’s going on here? Well, in Mandarin Chinese, the character 的 is most commonly used as a structural particle, connecting different parts of speech together or doing other structural things. 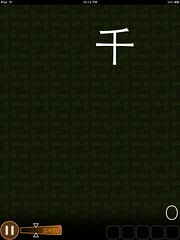 In this capacity, it is pronounced “de.” However, the character 的 has a number of other readings as well. Aside from its purely grammatical function, 的 also appears in the loanword for “taxi,” which is 的士 (díshì) in Mandarin, a secondhand borrowing from the Cantonese “dik1si2” (a loanword from English). In Mandarin Chinese 的 can also represent the meaning “taxi” by itself. When it does this, it’s pronounced “dī.” So you can say “take a taxi” using the phrase 打车 or 打的 (“dǎ dī” and not “dǎ de”). > We’ve just announced an incredibly cool new feature for the next version of Pleco, 2.2; an OCR (Optical Character Recognition) that lets you point your iPhone’s camera at Chinese characters to look them up “live” (similar to an “augmented reality” system): demo video is here (or here if you can’t access YouTube). Watch the video. Seriously. This is big. The technology behind this app is not terribly new… optical character recognition for Chinese characters has been getting steadily better over the years. But no smartphone app has done this well yet, and it’s a bit stunning to see Pleco performing so admirably right out of the gate. > Also, we’re finally working on an Android version of Pleco, and have just signed a license for our first Classical Chinese dictionary…. Awesome. Congratulations to Michael Love and the rest of the Pleco team. 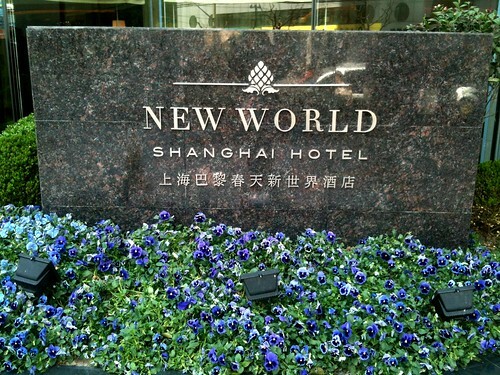 Fortunately for my clients, they all live in Shanghai, so they’re always surrounded by Chinese characters. If you’ve long been intimidated by Chinese characters, it’s surprisingly easy to block them all out and not really even see them in your daily life. Once the journey to learn Chinese characters has begun in earnest, however, it’s time to take the blinders off. And simply by paying attention to the characters around you, you start to notice a lot. > I learned the character 女 a long time ago so I could find the women’s room, but I never learned the character for “man.” Then, the other day, I saw the character 男 on a door, and I actually was able to read the character I had just learned. It suddenly had meaning! One small step on the road to learning characters, but a giant leap in terms of achievement. That first “reading moment” really is a significant milestone in the long road ahead. No, characters themselves aren’t “magical,” but there is definitely a bit of a “character high” in those early days of discovery. Do the characters around you help you in your studies? I’m convinced that one of the reasons that Chinese living abroad so frequently forget how to write (relatively common) characters is that they no longer have those constant passive reminders built into their environments. In my own studies here in China, I’ve learned characters from my surroundings many, many times. The characters around you may not be often mentioned as key to the immersion experience, but they sure do help. Remember: start with the simple ones. They exist. Last night I met up with Randy Alexander of Sinoglot, Yuwen, and Echoes of Manchu for dinner and imported beers. We had a great chat, with topics ranging from English and Chinese linguistics, to sci-fi and (evil genius) Joel Martinsen, to the Sinoglot crew and how they tricked Randy into learning Manchu. We started talking about some of our favorite linguistics articles, on Language Log or elsewhere, and I brought up the one about the half-life of irregular verbs in English. I wanted to send Randy a link, but I was dismayed to discover that the original article by Harvard University mathematician Erez Lieberman is now behind a pay wall. All you can find are articles linking to what was once a freely accessible article. What does this have to do with Chinese? I’d love to see similar studies for modern Mandarin. Sure, there are no conjugations for Chinese verbs, so it wouldn’t be about the regularization of irregular verbs. But it could be about variable pronunciations of certain words (like 角色, or 说服), or selection of characters (is it 做 or 作?). A good chunk of Chinese academia is still obsessed with standardization and what is “correct,” so you don’t see many objective studies, but that attitude won’t last forever. Chinese corpus linguistics is relatively young, but it’s making great strides, and I really look forward to seeing this kind of research in the future. What research of this type would you like to see? Mark over at Pinyin News had a great rant the other day reacting to a New York Times article which exoticized Chinese characters. 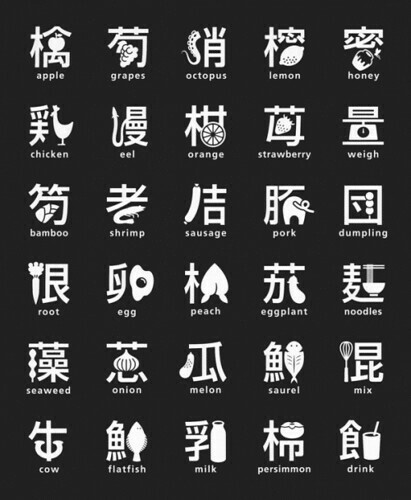 It’s funny, when you first learn anything about Chinese characters, you learn that they’re a “writing system.” Fair enough, seems simple, right? But you don’t have to study long before you’re bombarded with all kinds of ideas about how the characters are the language, or the characters are the essence of the culture, or the language could not exist without the characters. And Mark is, of course, completely right to say that it’s all nonsense. He declares this so vehemently and at such length that the ordinary person might start getting suspicious, but it’s all true. Could Chinese exist without characters? Yes. It existed for a long time before characters came along. I’m not advocating the abolition of characters; I think that will work its way out naturally in good time (accelerated by the internet). Mark feels quite strongly about this issue, though, which you can tell by reading the original article. > Wonderful post, pity lots of people will have read about magical Chinese from that NYT article. > What they should have done is get her to try and explain the etymology of the character 你 and how it relates to the meaning. This was the character that made me give up looking for character etymologies because the explanation made less sense than just memorising the strokes! 1. 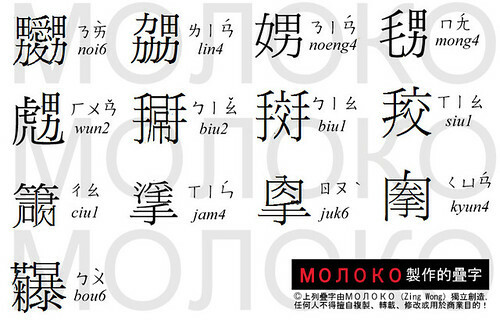 Try to learn characters by rote, as instructed by teachers. Hate it. Feel strongly that there must be a better way. 2. Discover Heisig’s method. Enjoy that breath of fresh air. But then start to doubt a little. 3. Try to abandon Heisig’s method in favor of learning actual character etymologies. Fail miserably, again and again and again (but starting with 你). 4. Return to Heisig, but with a healthy longing for actual etymologies (except when they’re a hopeless, ridiculous goose chase). 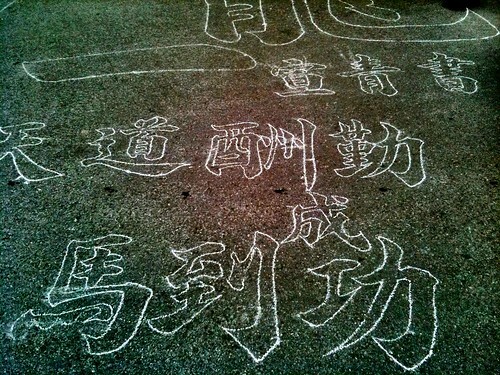 > 你 (nǐ): From 亻(人 rén) ‘person’ and 尔 ěr ‘you’. > Etymologically 你 nǐ is a “colloquial variation” of 尔(爾) ěr; the two sounds nǐ and ěr both derive from ancient nzie (–Karlgren). 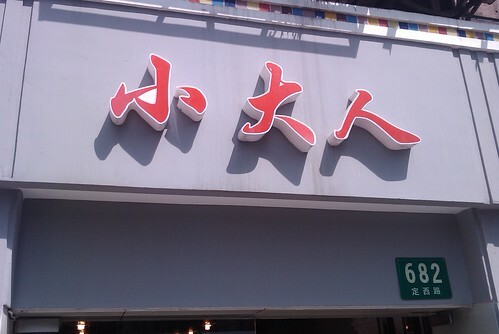 OK, so now all we need is something for “尔(爾) ěr” that makes sense, and we’re done, right? > Which came first, 尔 or 爾? > Then 爾 came from 尔 (phonetic), 巾 ( = 两 a balance) and 爻爻 weights on both sides, to give the meaning “symmetry, harmony of proportions”. > Karlgren (1923) says of the form 爾, “…original sense and hence explanation of character uncertain”, and considers 尔 an abbreviation. > The pronunciation was once something like nzie. This produced both ěr and nǐ, the latter written 你 nǐ, which is the modern word for ‘you’. Now 尔 is only used in a few adverbs and archaic expressions, and in foreign loan words. Riiiight… This is the word for “you,” also the first character in the basic Chinese word for “hi” (你好), which is likely the first word you’ll ever learn. I guess it does make rote memorization look pretty good. In a recent post, Deconstructing the Chinese Character Creativity of Japan, I highlighted some creative work with Chinese characters by Japanese artists. What I didn’t say at the time was, “I wish the Chinese themselves would do more stuff like this.” Well, they are, and just recently I saw some great examples of it, first sent in by reader, and then later on Kaixin Wang (China’s Facebook). I’m not going to deconstruct them like last time, because these are just way too complex. Just keep in mind that the squares and circles framing many of them are not actually a part of the characters like they were in the Japanese designs.